LEGENDARY. AWARD WINNING: We're proud to continue building the world's preferred fleet golf cars, and we're also proud to once again have earned Golf Digest's Best Golf Car award as we keep pushing the boundaries. 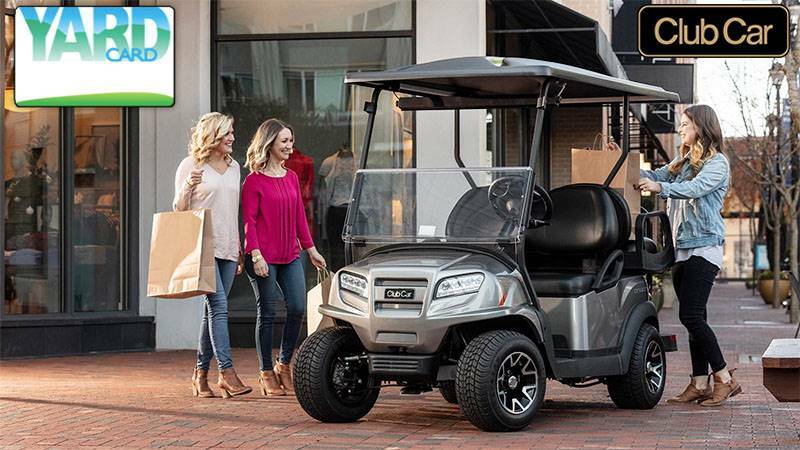 TAILORED TECHNOLOGY: Club Car equips every Precedent i3 with standard Connected® technology features, such as an electronic scorecard that golfers can email to themselves, and GPS Zone messaging that can be set to promote pro shop deals, food and beverage sales. ATTRACT AND KEEP GOLFERS: Protect golfers and cars from hazardous areas, or send special greetings and promotions to specific groups on the course. FIVE NEW MOLDED-IN COLOR OPTIONS: Choose 5 great molded-in standard colors including Beige, White, Cashmere (New), Platinum (New), and Green. Or upgrade to one of our premium molded-in colors including Cayenne, Black, Sangria, Mocha (New), and Sapphire (New). For a more automotive look, consider Candy Apple Red, Mocha, Platinum, and Sapphire in Metallic. NEW USB PORT: A new dual port USB is available for electric models. The new USB port operates on 48 volts, provides full speed charging to essentially all USB-charged devices including tablets, and integrates seamlessly into the Precedent dash. A spring-loaded cover helps to prevent corrosion and other failures caused by cleaning, spills, environmental effects, or other similar events. The new USB port also draws minimal current (<.001 amps) from the battery pack when not being used to charge a device or devices.